My content on my blog has changed a lot since I first began blogging. When I first started I had an obsession with buying new make up that I hardly ever wore, don't get me wrong I love wearing make up for a night out or special occasion but for everyday I usually go bear with maybe a touch of mascara and concealer. I just don't really like the feel of it on my face and the constant feeling of unclean skin if that makes any sense. Buying beauty products has been something that I have bought less of over the years and instead using up the products I already own and love. However recently I had the urge to treat myself to some new beauty bits. First on my list was more an essential that I wanted to add to my skincare collection. After a lot of trial and error I can confidently say that my favourite skincare brand is currently La Roche- Posay. A little bit more pricer than any other skincare products I have bought in the past but I can't help but keep adding to my ever growing collection. The current range I am loving is the Effaclar range which is perfect for anyone that suffers from acne, oily or spot proned skin. My recent purchase was a spot treatment as this month I have been having a lot of breakouts. The Effaclar A.I Targeted Breakout Corrector was my last resort to trying to get rid of the annoying spots. Purchasing the product did come with some doubts as some spot treatments come with a lot of promises and little results. The product is a white liquid cream that you target onto any blemishes, after a few minutes it dries onto your skin. When I first tried it I was shocked with how quickly it removed the readiness and make my skin look a little less sore looking. To get the best results I usually apply it before I go to bed leaving it to work its magic over night. The second is a make up brush set which was an eBay purchase. I am always a little reserved when buying a beauty product from eBay as I have heard so many horror stories but after seeing this set being recommended on some blogs I thought giving them a go wouldn't hurt especially since they are under £5. When they arrived, despite my doubts I was surprised with the quality. Naturally they aren't going to be the same as my Zoeva brushes but all things considered they are perfect if you are on a budget. 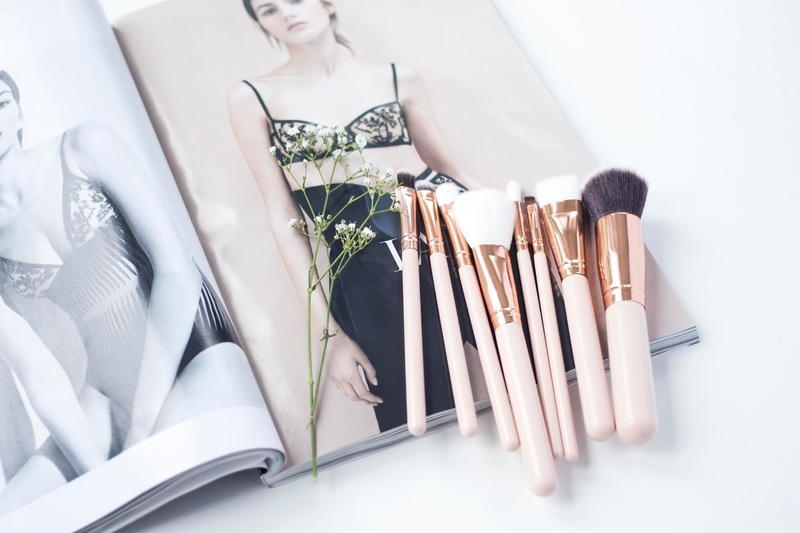 The set comes with three face brushes and five eye brushes which is such amazing value and a perfect travel set. To make things even better they also photograph really well so expect to see a lot of them on my Instagram. My final purchase was an impulse buy. After watching a marathon of Youtube make up tutorials, a certain highlighter kept being used The Balm's Mary Lou manizer. 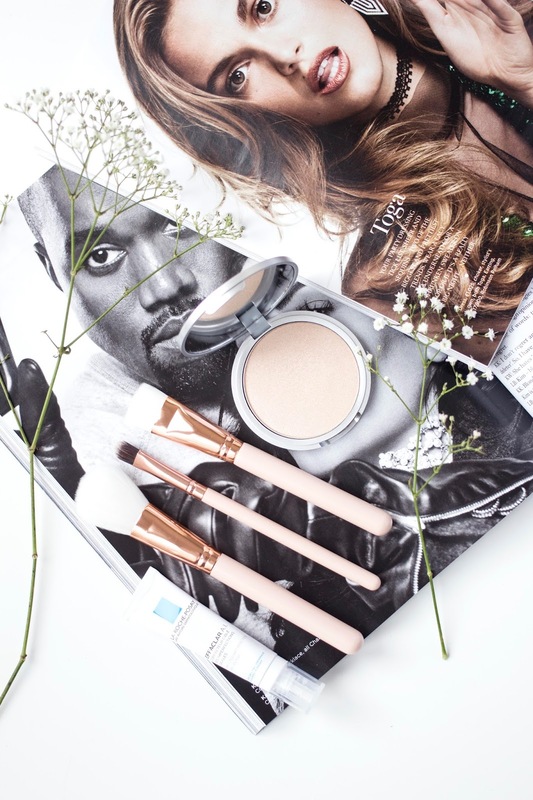 I am a little impartial to a good highlighter and my Make up Revolution one had been serving me well but I really wanted to try something a little more high end without costing a fortune. I ordered this beauty from Feel Unique and couldn't wait for it to arrive. The highlighter is amazing and I now know what all the hype is about. It is such a build able product which can be applied lightly or a little more heavily for times you want your make up to impress. What beauty products have you recently bought ?